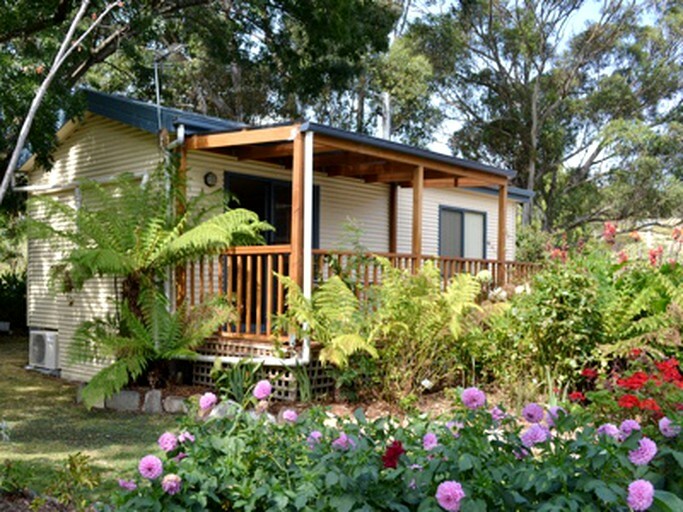 This spacious and secluded cabin rental is located in Cygnet, Southern Tasmania, and boasts professionally landscaped gardens. It can accommodate up to two guests and there is one bathroom, one ensuite bathroom, and one kitchen. The bedroom has a queen-size bed with a wool comforter and an electric blanket. In the bathroom, guests will find a toilet, a sink, and a shower. Clean linens and towels are provided and changed daily. 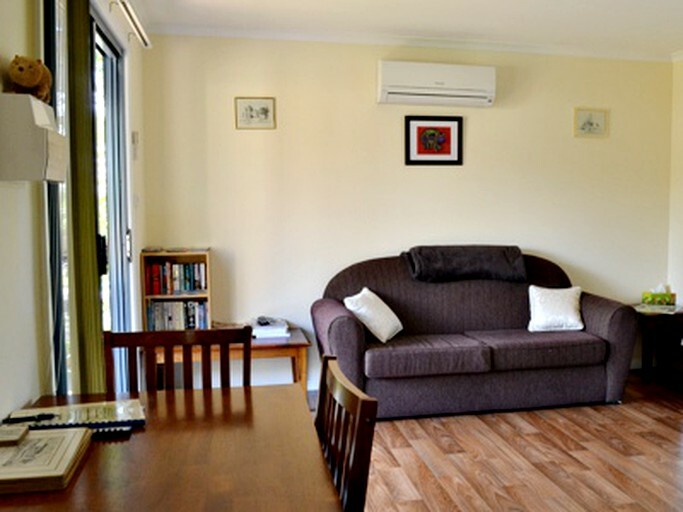 In the living area, guests will find a sofa, a television with Austar, and a reverse cycle heat pump, which guests can adjust to their comfort. 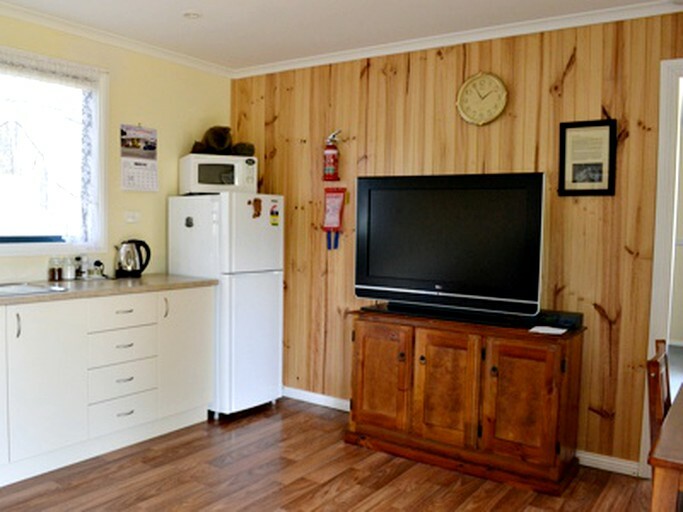 The fully equipped kitchen comes with a stove, microwave, toaster, and a tea and coffeemaker. Other amenities include Wi-Fi, and an iron and ironing board. Upon request, guests can use on-site laundry facilities and a barbecue grill for cooking meals. Guests will have access to laundry facilities and a BBQ grill, both of which they can use upon request. There is also a car park on site. All guests will have access to the gardens and nearby bay. This bed and breakfast is in a prime location for water sports enthusiasts. 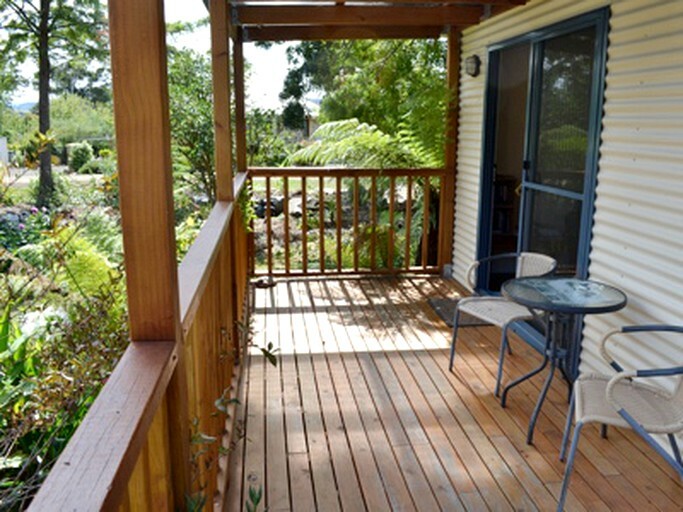 Situated right on the Cygnet Bay, and being only a few minute's drive from the Huon River, guests can swim in the warm, clean water or spend a few relaxing hours fishing on the shore. 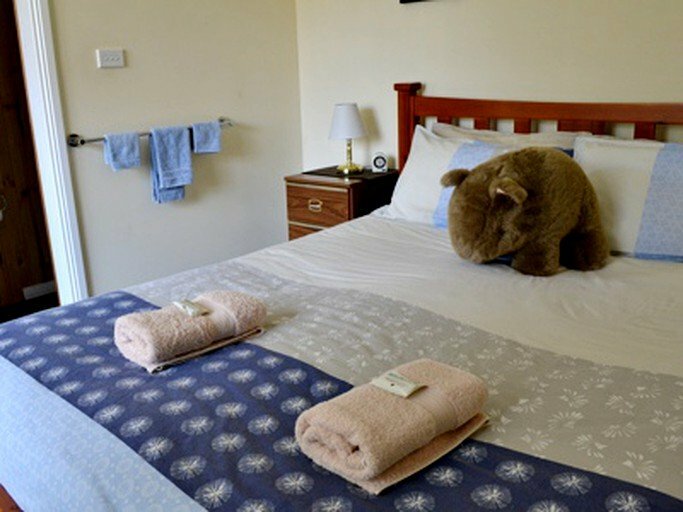 Guests may also relax by practicing yoga or taking photos of all the stunning wildlife in the gardens and woods. There are also several nature trails near the site where guests may ride their bikes or take long peaceful walks to admire the scenery. Guests may also drive down to Cygnet, where they can eat at any number of cafes and restaurants, or browse through the many shops and art galleries. Cygnet also has dairy farms and orchards where guests can pick apples or any other fruit in season. For all of the units, a complimentary continental breakfast is served daily, and there is daily trash removal and linens/towels changes.